After missing out last month, I was really wanting to get back into it all. 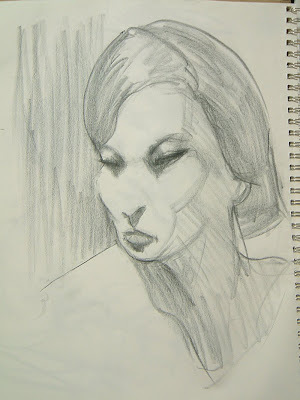 Today's model was the beautiful Frankie Valentine, and again she threw alot of drawing challenges. She was tall and leggy and her lips were pouty but smooth. 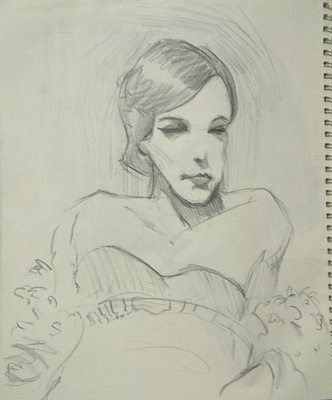 As always a lot of fun and this was Dr Sketchy's Melbourne's 3rd anniversary ! (mouthful)So if you wanna head down, especially during these winter months get more info at thier [URL=http://drsketchymelbourne.com/]blog[/URL].